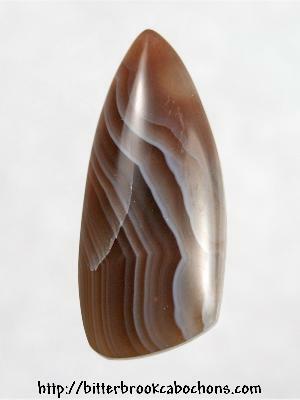 This little Botswana Agate cabochon is cut in a freeform projectile shape. There's a healed fracture on the left side, so it's priced accordingly. 26.5mmm x 12mm x 4.5mm. Weight: 11.85 carats.